It is my understanding that the wheel speed sensors ARE different. I have been told the easy way to tell is grey plug vs blue plug. Mk60 uses the blue plugs. I have never tried a grey plug however. It's not speed that kills, it's the speed difference that does. Obviously you aren't going fast enough. I read a list of the 100 things you MUST do before you die. Funny, "Yelling 'HELP'" didn't make the list! On the Nissan 370, I used the stock Nissan sensors with the Mk60E5. 2 wire, current type I believe. So 1 would only need an abs cpu from say a e46 m3? You'd also need to run a 4th brake line to the rear of the car, the E36 is 3-channel, the Mk60 is 4-channel. You'll obviously also need the controller/abs unit (as you mentioned) and to rewire the connector because I would guess the E36 unit is different than the E46 unit in that respect. Yes, that small adapter board just allows you to use E36's (or other BMW's using) original VR type ABS sensors. Plenty of other stuff needed to get Mk 60 up and running as dmw16 pointed out. Would it let you use an E30 speed sensor? I'm in the process of setting up Mk60 ABS in my E30 and right now I'm planning on using rather crude adapters I built to put E46 speed sensors into my E30 struts. But if a little plug in board can do it and let me retain my originals that's something worth considering. Disclaimer: I have no idea if this works on an E30. It did on my E36. It was trivially easy to get the blue connectors working in an E36-- I just depinned the grey chassis-side connector, installed the chassis-side blue plug housing, and reassembled it. Then the blue plugs are plug and play, as they bolted right in without any shimming or effort required. Spending $50/wheel to convert the signal type doesn't make a ton of sense (to me). After that, you still need to wire the wheel speed sensors to the E46 DSC/ABS computer. With the DSC/ABS installed in the engine bay, I ran wires through the firewall to the E36 ABS computer location, removed the E36 computer and tapped the existing wheel speed sensor wires at the ABS computer plug. Super simple, just a lot of contorting to access stuff. You will still want to have an E46 M3 master cylinder, brake pressure sensors, and the yaw/dsc sensor wired in for full ABS functionality, at a minimum. Spending $50/wheel to convert the signal type doesn't make a ton of sense (to me). My reading lead me to believe that each board would convert 2 wheel speed sensors, so $100 total for internal and $80 if you wanted to run 12v power to them. $1600 is nutin for that harness. Though this type of wiring doesn't make me uncomfortable. That's good if you can run two sensors off of each board. My thinking is that, given the amount of wiring needed to get the Mk60 up and running, does it make sense to get the signal converter board? The board doesn't save you any wiring work. Agreed on the harness price, it's just an example that you CAN buy them if needed. Well, it's an option which allows you to leave everything under the car as it is, just put the two converter boards near ABS unit and you can leave rest of the existing ABS sensors and wires as it is. Originally Posted by Bimmerman535i;29038687You will still want to have an E46 M3 master cylinder, brake pressure sensors, and the yaw/dsc sensor wired in for full ABS functionality, at a minimum. I'm using the E30 MC still, mainly because the bolt pattern for the E46 MC isn't horizontal so when mated to my booster the whole thing would sit at an angle...namely the reservoir. I guess I could make an adapter plate if I have to, but I am going to start without the E46 MC. The pressure sensors will go into brakequip 3-way fittings to pickup that signal. The jury is also still out as to whether or not you need the yaw sensor for ABS functionality. Some say yes, others say no. I'm using one because the sensor was $30 on eBay and why not (make sure you're sitting down before you look at new-part prices on that sensor). The pre-built harness is very expensive, but I suspect it's mostly because it's a pretty limited market that uses this stuff in non-standard applications. It's also not trivial dissecting the wiring diagrams to wire everything especially if you're talking about a totally standalone system into an older chassis like an E30 or E21 or E9 or whatever. Making the harness is easy. I did it over a weekend. The yaw sensor is not required for standalone ABS. It plays a role principally in traction control. Exactly what role it plays in the ABS algorithm, I don't know and would like to know. What I do know is that standalone MK60 ABS works fine without the yaw sensor. That said, I run the yaw sensor because it was cheap and easy to wire into the harness. Now that I've got my pinout planned out making the harness won't be a big deal. I ended up getting a yaw sensor for the same reason. For the $30 it cost there was no reason not to wire it in. Obviously to add DSC requires the yaw sensor and the steering angle sensor and possibly other things, not sure. But I'm just using it for standalone ABS. Those are the minimum components you need for functionality of ABS, not including the wiring itself. 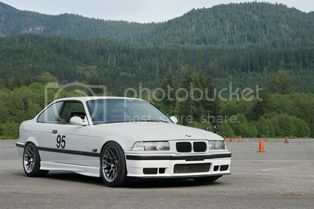 I bought a complete DSC swap kit from Asmod3us here on bimmerforums, and he's also on m3forum. He sells most of the above components bundled together, I think I paid ~$450-500 for it? I'm installing this in my 93 325is which already has a Wilwood front setup and is about to have some lightweight Wilwood rear stuff as well as a Massive Brakes booster delete with either their single or dual MC delete system (I have both). Does the E46 M3 system need a pedal "travel" sensor like my 93 has? Can anyone say for sure that the YAW sensor is not needed? I have it, but if it's not needed, I'd rather not install it. My ABS controller is the 813 (813.3). Who is this guy overseas that can do the reprogramming, what does he charge and will it make a big enough difference for an autocross car on wide-ish sticky (Hoosier purple crack) rubber to make it worthwhile? And, does anyone have the blue plug wheel speed sensors and the MC pressure sensors spare for sale? I didn't get those with my package. Does anyone remember the guy that machined adapters (I think they were "T"s) to hold the sensors and the feed off the MC to the ABS pump? Oh, and when I finally decide what MC delete kit I'm going to use, I'll have the other one for sale. Last edited by jakermac; 03-02-2016 at 08:34 PM. Not sure I can answer all of these, but I'll try to help where I can as I just finished putting a Mk60 system in my E30. A pedal travel sensor is not required. You do need a "brakes on" switch which is just a splice from the brake light switch that is under the dash. A yaw sensor is not required. Seems it doesn't do anything without the full TCS/DSC system in place which requires a bunch of other stuff. Not sure on machined adapters, but brakquip and others make 3-way juntions that work just fine. You'll just need to work thru the sizes of the lines...both pressure sensors as M12 threads, but the brake lines are M10 and M12 depending on the side. But having said that, if you use an E46 MC then it doesn't matter since there are outlets specifically for the pressure sensors so you don't need any junction fittings. But one thing to note on that is that the E46 M3 uses a "clocked" fastener pattern compared to the E30 (and I think E36) MC that is a horizontal bolt pattern. So you'd need an E46 booster to use an E46 MC. Lastly, and you probably know this, but you'll need to run a second brake line to the rear of the car since the Mk60 is a 4-channel system compared to the E36's 3 channel system. All of that helps immensely. Thank you very much. I knew about the 4th brakeline and I'm not using a BMW MC so no worries about bolt patterns. It'll either be a pair of 3/4" Wilwoods, or a single 19mm VW one. Hey guys, I'm gathering the necessary parts to integrate mk60 abs into my e36. What's the concensus on the brake booster? Can I use my stock? Or is z3m booster needed?